Hi Delmarva! 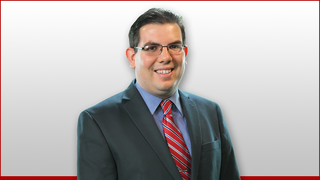 I’m Ulises Garcia, your Weekend Meteorologist at 47 ABC. I am from Miami, FL, and attended Florida State University where I received my bachelors in Meteorology, with a minor in mathematics. My passion for Meteorology started in the first grade and since then, my love for weather grew, especially with tropical weather. In college, I completed two internships, first in the field of operational meteorology, as a student trainee for SCEP (Student Career Experience Program) at the National Weather Service in Miami, FL, launching weather balloons and taking weather observations. I completed my second internship as a broadcast meteorologist at WTVJ in Miramar, FL. While residing in Tallahassee as both a student and alumni, I actively participated in the North Florida Chapter of the American Meteorological Society. I forecasted for FSU Weather, a student run 30 minute weeknight weather show on FSU Campus and with fellow FSU students, providing live updates for severe weather in North Florida, and South Georgia in February 2016 and during Hurricane Hermine. My first on-air meteorology job was at WBKB-TV in Alpena, MI. It was a unique experience living far away from home while dealing with all four seasons for the first time. I forecasted and witnessed the wettest year ever for Northeast Michigan in 2017 which involved intense snowstorms, multiple wind and rain events and record temperatures. In my free time, I enjoy watching comedies, bowling, ultimate Frisbee, and of course my passion in meteorology. I enjoy following my Seminoles, and the Miami pro teams, especially the Dolphins, Heat, and Marlins. I am excited to explore Delmarva as well as looking forward to experiencing and forecasting severe, tropical and winter weather at the same time.